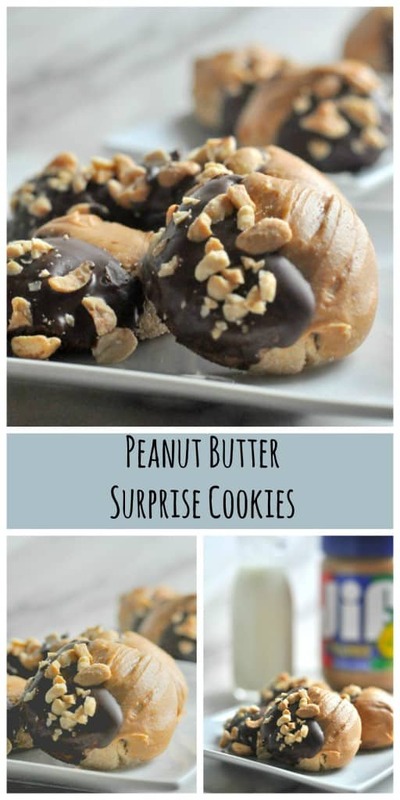 While a chunky peanut butter cookie dipped in dark chocolate and peanut butter is awesome, these Peanut Butter Surprise Cookies go to a whole new level with Reese’s Peanut Butter Cups tucked inside. 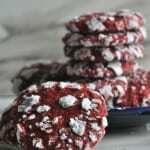 They are a great alternative to the traditional peanut butter cookie with a chocolate kiss. 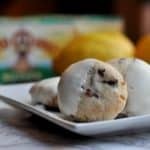 Perfect for a cookie swap or just for around the house, the only thing you need to worry about is making sure you save some for yourself because these are unbelievably delicious. 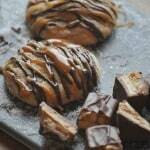 Last year one of the most popular cookie recipes on my blog were the Snickers Surprise Cookies. The creamy peanut butter cookie had a mini snickers bar tucked inside and had chocolate and caramel drizzled on the outside. My husband told me the only thing that could make the cookie better would be to make it a peanut butter version. I didn’t tell him what I was up to and he walked by the cookies on the table and stopped. “Oh my gosh are those what I think they are?! ?” Indeed. 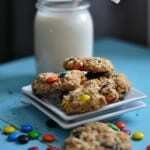 Peanut Butter Surprise Cookies. I think it’s funny I surprised him with surprise cookies. 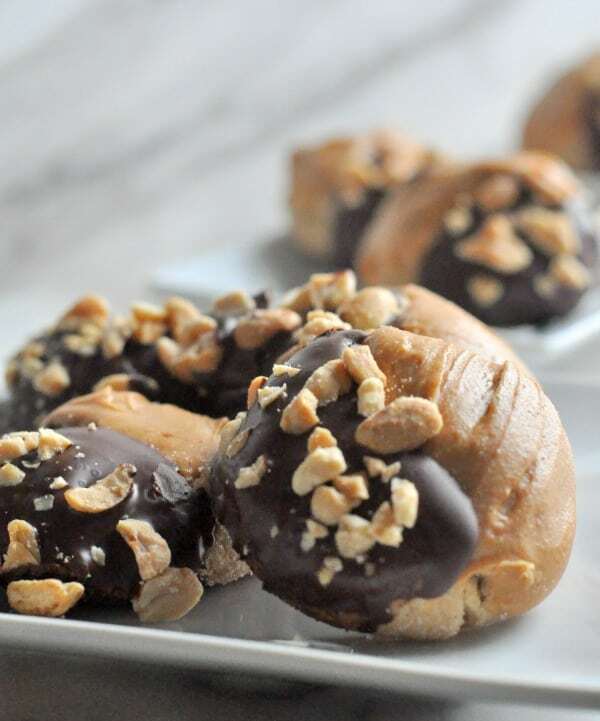 These are really simple to make and great to double if you are doing a cookie exchange or you have a peanut butter lover in your house. In a stand mixer, combine butter, brown sugar and ¼ cup white sugar. Mix until creamy and then add vanilla and chunky peanut butter. Once combined add egg. 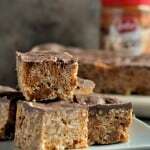 In a bowl combine flour and baking soda and gradually add to peanut butter mixture. 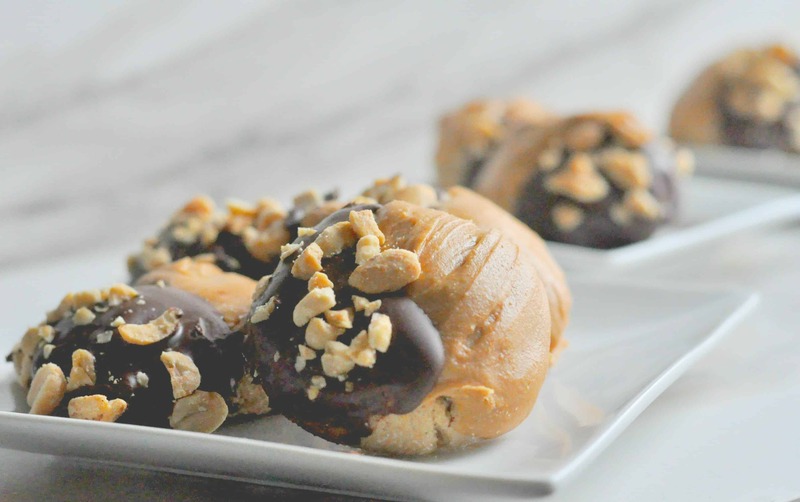 Scoop dough into balls and roll each cookie around two mini peanut butter cups. In a small bowl, add ½ cup sugar and roll each ball in the sugar. 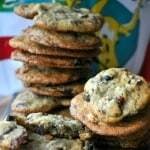 Bake for 10-12 minutes (for chewier cookies, bake for 10 minutes). 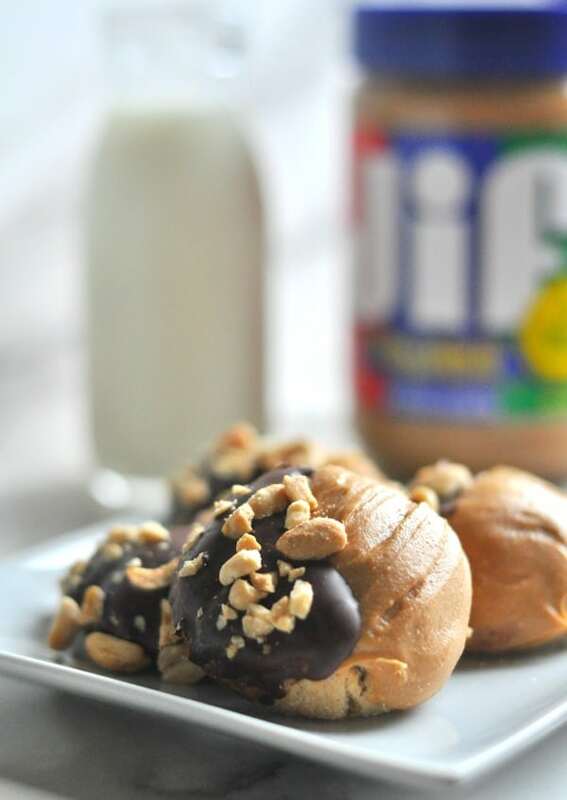 Once cooled, dip half the cookie in melted chocolate and half in melted peanut butter chips, then sprinkle with peanuts. 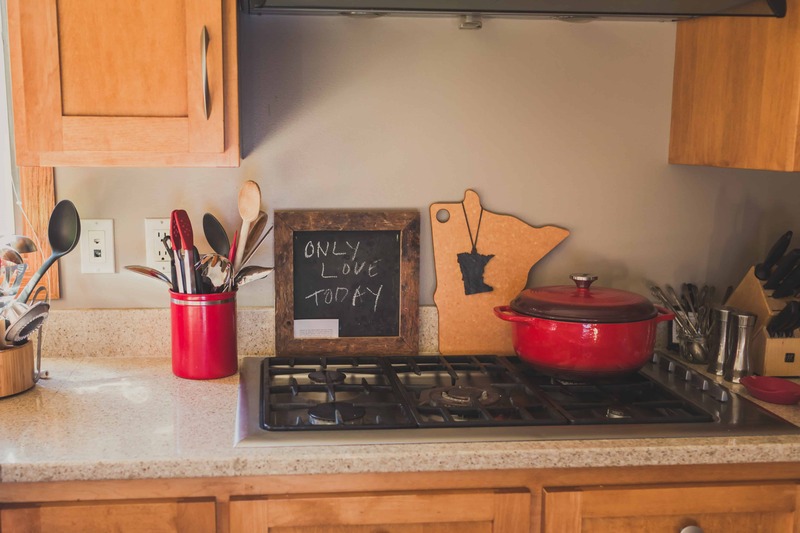 This entry was posted in Desserts and tagged christmas cookies, cookie swap, cookies, dark chocoalte, easy, holiday cookies, peanut butter, peanuts, simple, twin cities live by Alice Seuffert. Bookmark the permalink. I’ve been looking for a recipe like this! I hate unwrapping the candy so this is genuis. So glad I caught it on TCL today. Thanks for watching, Julie! This is a favorite for us! I agree I hate unwrapping candies for cookies! Enjoy the recipe!